RaceQuip’s tag line is “The Best Value in Safety”. Their Camlock belt set is meeting that challenge by offering loads of features yet pricing them affordably for the grassroots racer. The RaceQuip 751 series Camlock belt set comes in a six (6) point configuration with a pull-down lap belt design. 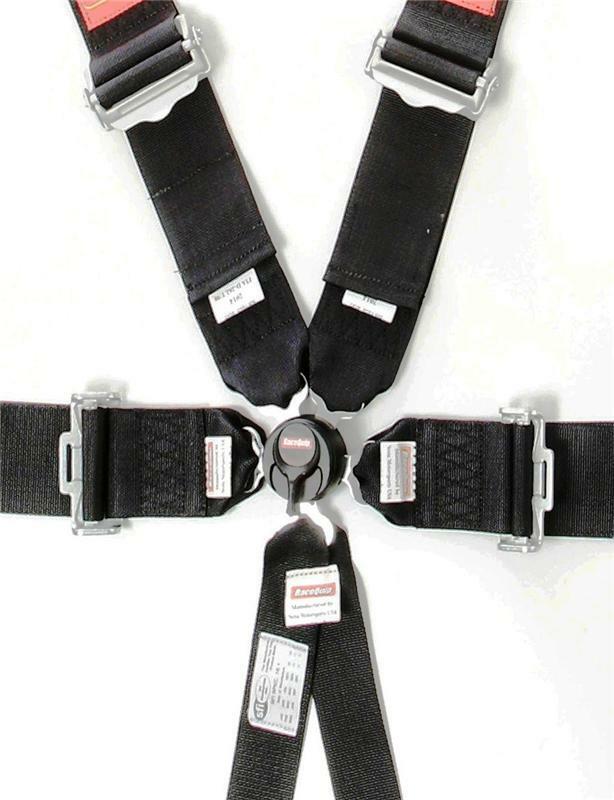 The harness sets not only Exceed the SFI 16.1 specification, they also pass the stringent FIA 8853/98 standard. This “dual certification” allows racers in some sanctions (SCCA, NASA, etc.) to use these belts for five years instead of just two. Like all RaceQuip harness sets, they can still be rewebbed and SFI certified after the expiration date. RaceQuip starts with a super-lightweight 165 gram magnesium alloy cam buckle. The buckle features an engagement cone which allows the belts to snap into the cam mechanism at angles of 21˚ left or right and 11˚ up and down for ease of engagement. Precise internal spring pressure allows a positive feel on the 45˚ (right or left) unlatch movement without fear of accidental opening. Next, the drop-forged steel buckle hardware is sewn onto the premium 3” webbing. RaceQuip calls their proprietary blend webbing “transverse mono filament woven”, which means that there are mono filament fibers inter-woven into the straps in a pattern that transverses the standard weave. This design accomplishes two tasks – added strength and smoother edges on the belts. 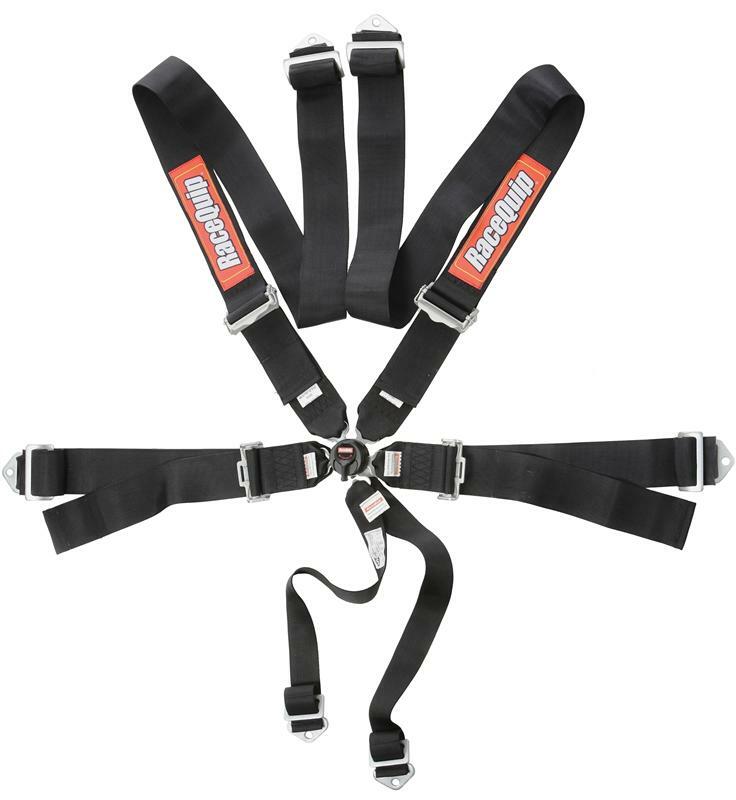 The harness sets also feature premium, lightweight, non-slip aluminum shoulder adjusters with easy lift grips. The lap belt adjusters utilize an anti-slip tensioner device as well. Heavy-duty drop-forged steel slide bars and bolt on ends come already installed, but they can be easily removed if you prefer to mount your belts by wrapping them around a rollbar. Belt adjustment lengths are 20” to 70” for shoulders and 25” to 70” for the lap belt. 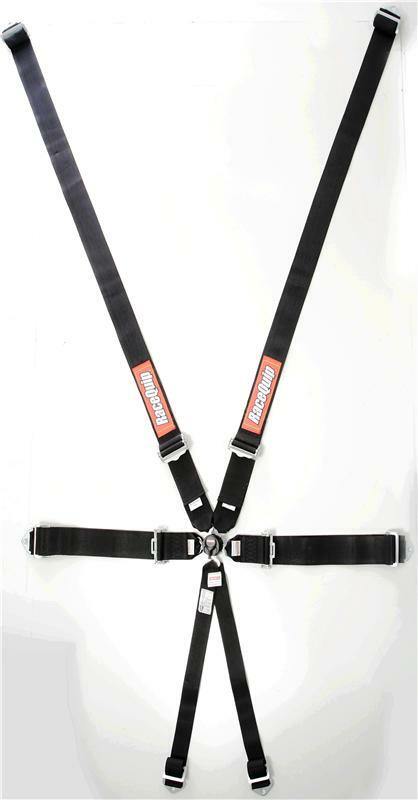 RaceQuip Camlock Harnesses are available in black, red, or blue.